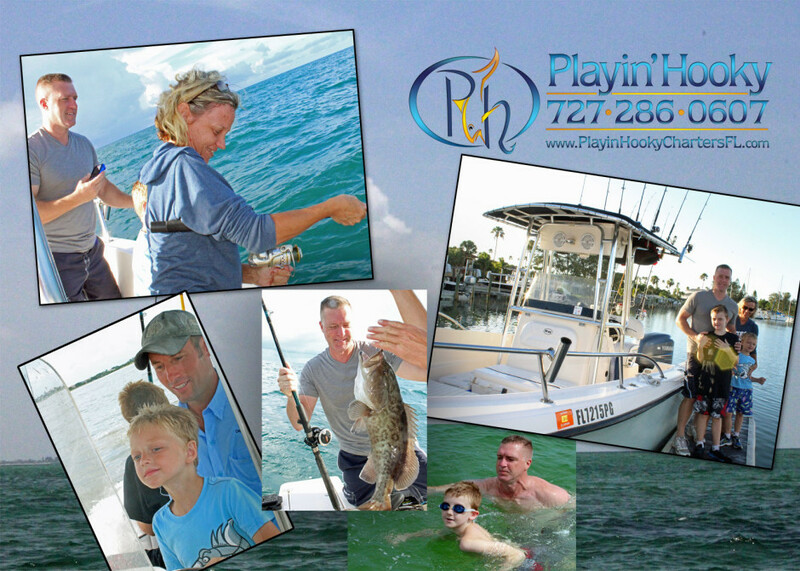 The last few months we have had some wonderful families include Playin’ Hooky charters as part of their family fun. This family was one of my favorites to work with. Dad was celebrating his birthday and wanted to take his boys on a memorable fishing trip for his birthday present. The oldest boy is autistic and absolutely loves animals. They caught quite a few fish for dinner and spent time at Egmont Key exploring the park. The high light of the trip for me was after the trip was over. I was cleaning the boat and realized that they had left their snorkeling equipment on the boat. We immediately notified them that we had it and made arrangements to get the equipment back to them. When I met with mom she shared stories of how her youngest had been pretending all day that he was Captain Adam. Telling his brother to catch bait and get the gaff. Making memories is what we pride ourselves in doing!